Dandruff and hair loss are two problems that are all too common. Just look around at the number of people “innocently” wearing hats, scarves, and wigs to see just how widespread these issues really are. Yet we often don’t feel comfortable discussing them. Hair loss, in particular, can be a very sensitive and embarrassing topic. Whether the central parting of your hair is widening, or your forehead appears a bit larger than in last year’s family photos, it can be difficult to stand in front of the mirror and wonder if others will notice as well. And if you’ve ever experienced dandruff, you’ve likely looked down while wearing a dark shirt to see those tell-tale white flakes resting on your shoulders. So what do you do? Wear a hat, a wig, a headscarf? Should you try to cover up dandruff-rideen or thinning hair? Whether you have started treating your hair issues or not, it can be extremely tempting to cover your head. While your morning routine might be simpler, this doesn’t address the actual problem. And it certainly doesn’t offer any real solutions. Did you know that dandruff is actually a fungal overgrowth on your scalp? The fungus lives between the dermis and epidermis junctures of the scalp and is the cause of dandruff. Dandruff is related to hair loss because it’s a by-product of inflammation and fungus. Hair loss experts often recommend using anti-dandruff or anti-fungal shampoos if you are suffering from hair loss. Many also recommend at-home, low-level laser light therapies to support hair growth. 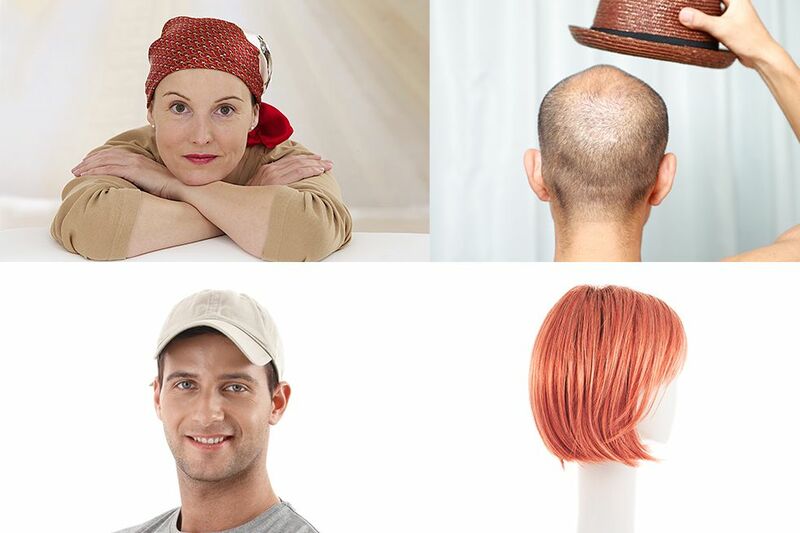 So how is fungus related to covering your scalp with a hat, wig or scarf? If you’ve ever suffered from athlete’s foot, you likely know that a lack of fresh air leads to fungal growth. In the case of athlete’s foot your shoes are part of the problem. When it comes to your hair, hats, scarves, and wigs can be the culprit. These coverings trap in heat, sweat, and moisture, which all lead to fungal overgrowth. This can result in inflammation and hair thinning… and you’re back at step one, standing in front of the mirror, trying to cover up thinning areas on your scalp. By trying to hide problem areas with a hat or anything else, you are in fact creating more problems. You should never try to cover up thinning hair when you’re trying to grow new hair. Low-level lasers have been proven to decrease the inflammation tied to the overproduction of fungus. The Theradome laser hair helmet is recommended by doctors and researchers around the nation. With just two 20-minute sessions per week, Low-Level Laser Light Therapy customers experience minimized shedding and increase hair shaft diameter and hair re-growth. So be brave and try recognize your hair loss as a temporary problem that you should work to improve instead of covering it up. Focus on the solution, rather than multiplying the problem with hats, scarves, and wigs.